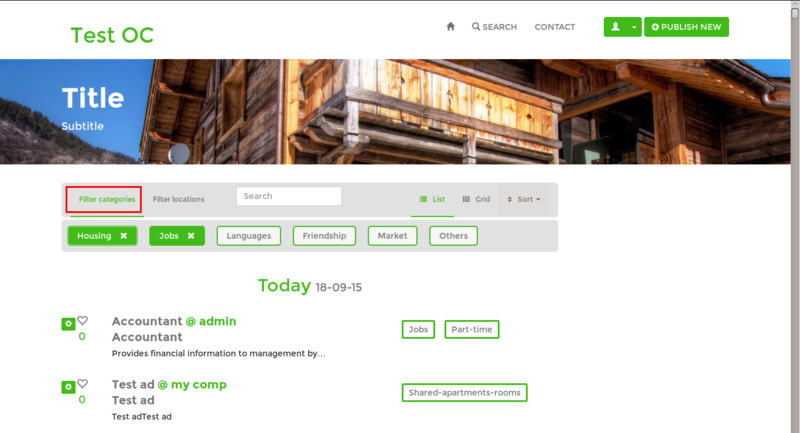 Jobdrop is our new premium theme. It has unique options to create and run your classifieds website. With this theme you have the option to upload your top banner. 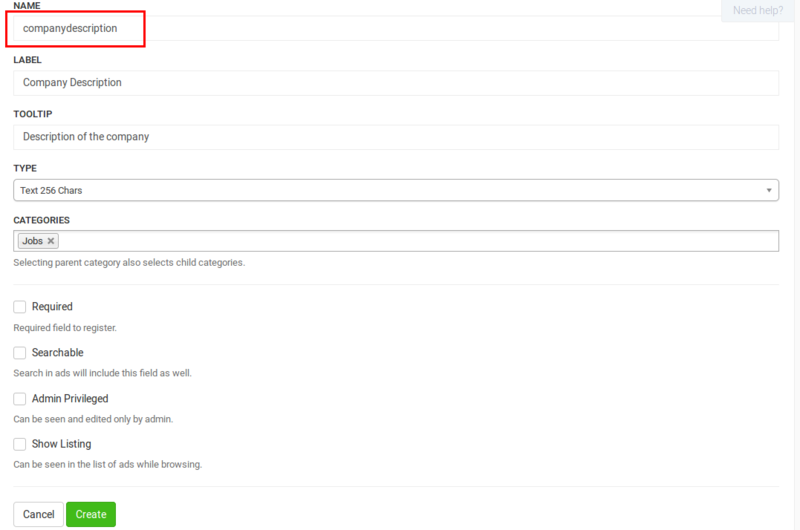 What you have to do is to log into your panel, go to Appearance -> Theme Options, enable Display top banner and select the image you want to appear as a top banner on Upload your top banner image if enabled. As you can see on the picture below, you can also set the title and the subtitle for the banner. For a better homepage, you can select Listing as a landing page. 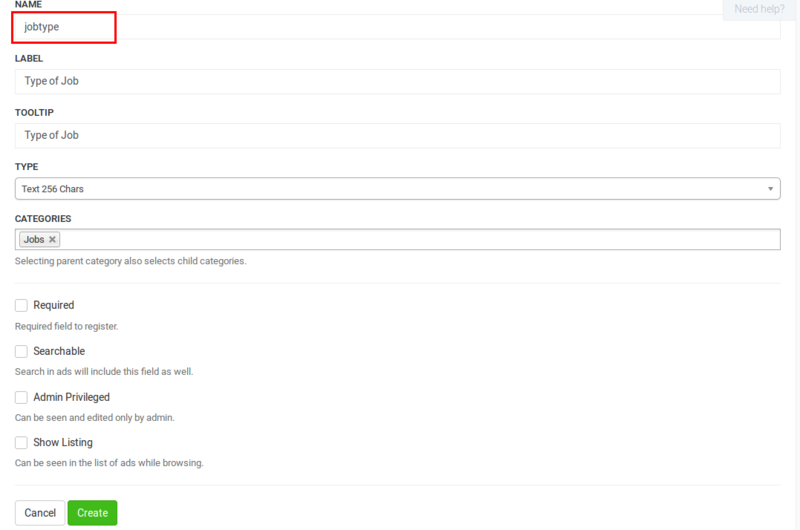 Go on panel, Settings -> General, and select LISTING on Landing page. 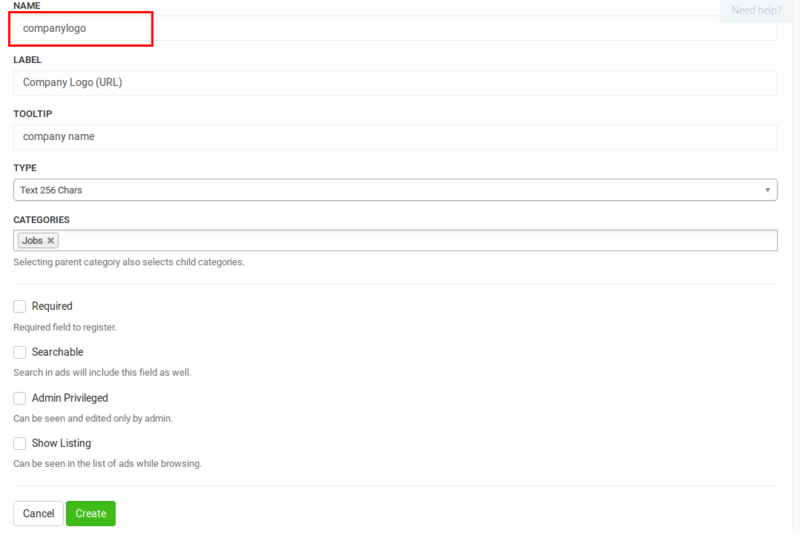 If you want to let users filter ads by choosing more than one category or location, you can enable Multi select category and location search on Settings -> General -> Additional Features. 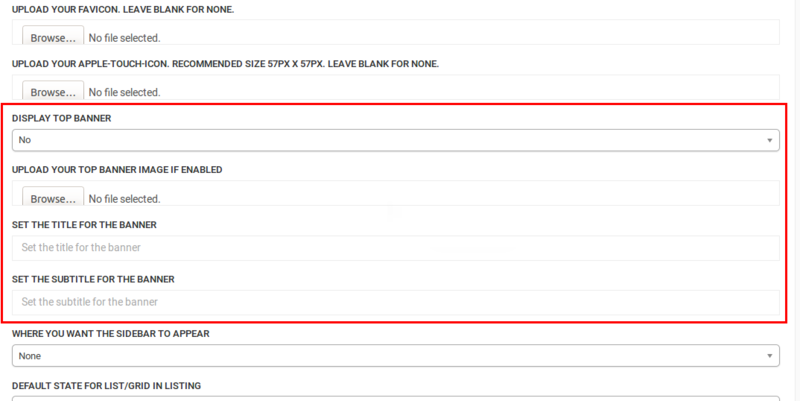 If you are planning to have a job board website, you can create the custom fields are listed below. 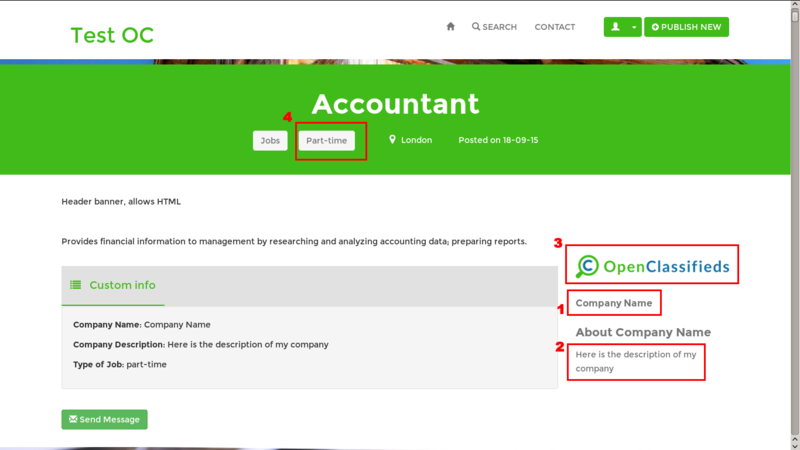 If you don’t know how to create custom fields, follow this guide. Important: You must use company​ as field name to have the extra functionality! Important: You must use companylogo​ as field name to have the extra functionality! 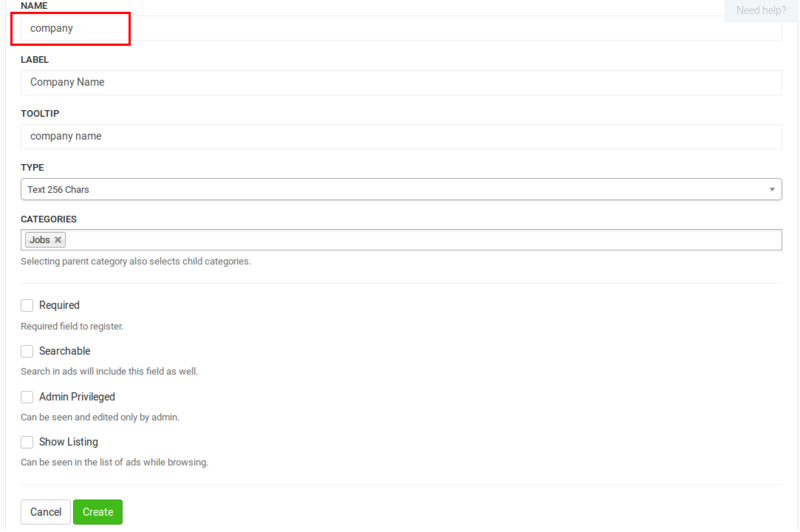 Important: You must use companydescription​ as field name to have the extra functionality! 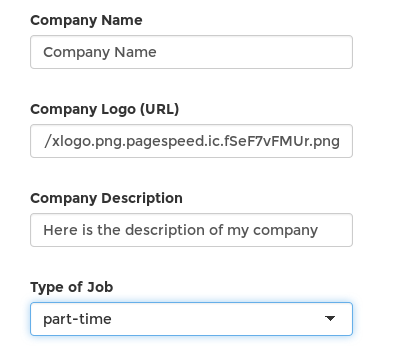 Important: You must use jobtype as field name to have the extra functionality! 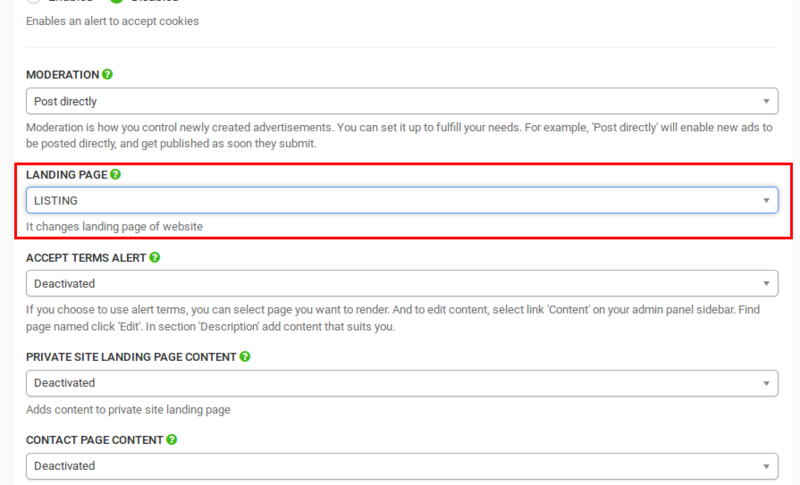 If you have created those custom fields, users will have the option to fill them when they are publishing a new ad. Company name appears on the right, next to the ad details. 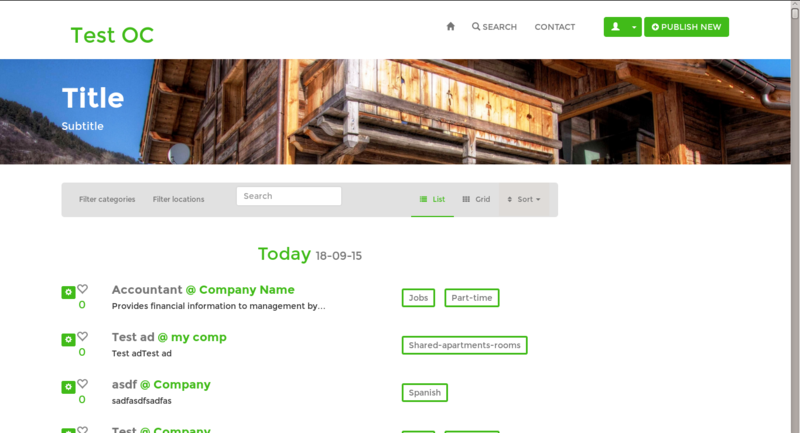 The “Company Logo” is displayed above “Company Name” and “Company Description”. Notice that if the user doesn’t enter company logo, his profile picture will be used instead. Type of job appears next to the category of the ad.